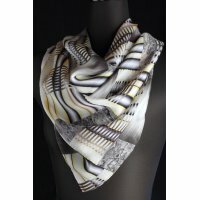 The unique print technique that was invented in the early 20th century in Europe was introduced in Japan in 1963 by a Japanese man called Toshio Nishioka. Four years later, he set up a company called Nihon-Geisen Co Ltd (later renamed to Marble Print Ltd, and then to the current Kyoto Marble Ltd). In the 1970's, there were some companies using this print technique in Japan, but all of them were gone except us in the 1980's. Today, nobody uses this technique in Europe where it originally started. Moriyoshi Nose who succeeded Toshio Nishioka is the only craftsman in the world who still practices the technique. 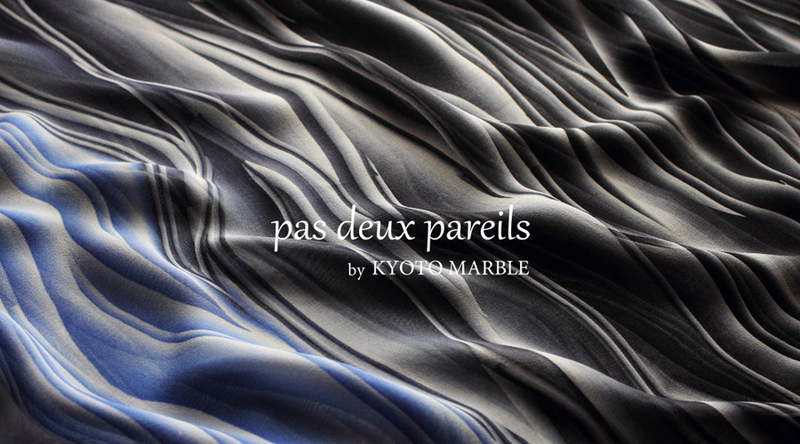 The biggest charming point of our Kyoto Marble print technique is its fascinating multi-colors. It's known as "a hundred-color print". Since all the colors are on a single plate, our print doesn't get muddy no matter how many colors are used. 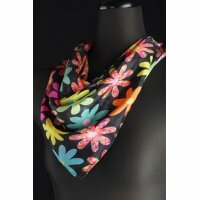 Because we use solid starch as the basic material for printing, almost limitless patterns are available. Almost all of the printing process is done by craftsman, our print carries a human touch and each one of them is unique. 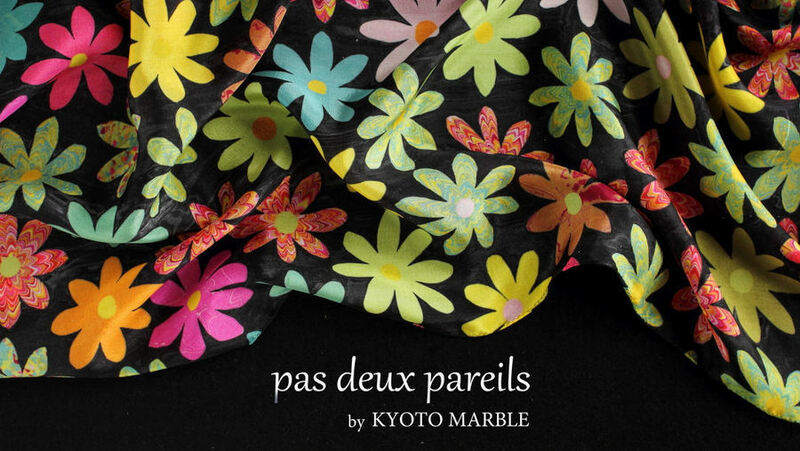 Silk scarves of "pas deux pareils", the original brand by Kyoto Marble, are made from high quality silks that are woven by Japanese craftsman. Sewing is also done in Japan. 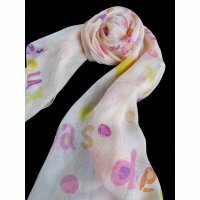 We're proud to present that our scarves are genuinely "made in Japan".